Parenting in the future is looking a lot less stressful. We can already use Alexa storytelling skills to keep the kids quiet for a while, and now Amazon has released a special Amazon Echo Dot Kids Edition, just for the little ones. 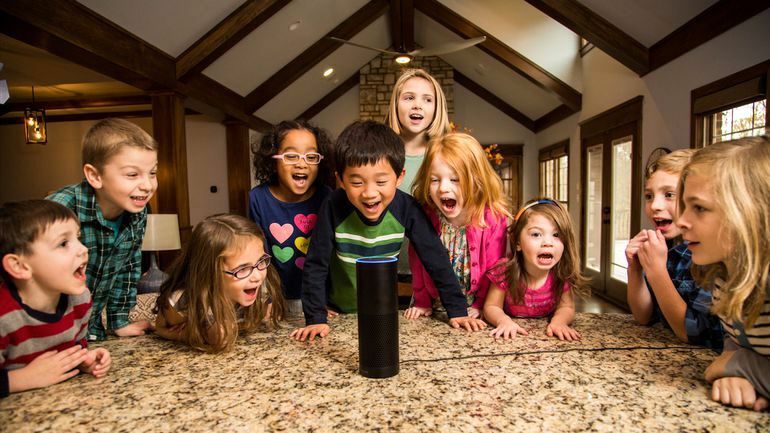 While it may seem as though Amazon just added parental controls and slapped a fun color on the regular Dot, there’s actually a lot to consider when designing voice technology for children. If you’ve met a kid before, you’ll know this to be true. They’re young, unfiltered, and with highly active imaginations. So how do you go about creating voice-first apps for these wild, little people? The whole point of a voice-first app is that the user can engage in a conversation with it. This means the app must have its own voice, and with a voice comes personality. Voices without a personality are, well, boring. Nobody wants to talk to a monotone bot who sounds about as interesting as drywall. Kids certainly won’t. So it’s reasonable to say that developing a personality is one of the keys to user engagement. (Especially for kids, since most of them have the attention span of a gnat.) The aim should always be to make a voice app sound like someone who kids would want to interact with in real life. Someone kind, fun, and authentic. No one loves a good story more than children. Stories are incredibly effective tools at keeping kids engaged, helping them go to sleep, or teaching them a valuable lesson. Levin’s design studio, Pretzel Labs, integrates the influential power of storytelling into their own voice-first apps. One being Kids Court, where an Alexa-based judge settles arguments by letting kids play the roles of prosecutor, defendant, and witness. The app actually won the grand prize in Amazon’s kid skill competition. Will it help your kids settle their arguments in a civil way? Very likely. Will it turn them into future lawyers? Probably not, but you never know. This relates to the previous storytelling point, but it’s still a valid point. There are plenty of life skills and responsibilities adults are tasked with teaching children, but most of the time kids would rather watch YouTube or eat something they shouldn’t. It happens. But what kids are always up for is an ‘adventure’. Another of Pretzel Lab’s apps is called Out The Door, and it’s all about making kids go through their daily duties while having fun. This could be brushing their teeth, washing their hands, or eating their breakfast on time. They have points to earn and virtual creatures to beat. Sounds like many parents will have Alexa and Google Home to thank for their renewed sanity on school days. Obviously this isn’t a comprehensive list of things needed for voice-first tech geared towards children. But it’s a sneak peek into what’s involved and how simple yet complex children are to develop voice-based technology for. Fun fact: Adva Levin will be giving a hands-on workshop at the Alexa-sponsored VOICE Summit this June to teach the essentials of storytelling techniques and how to use them to create engaging voice apps. Extra fun fact: You can register for this workshop and also attend the entire 3-day summit on voice technology here. Plus, you’ll get a chance to visit New Jersey! Jenny is an engineer turned tech writer. 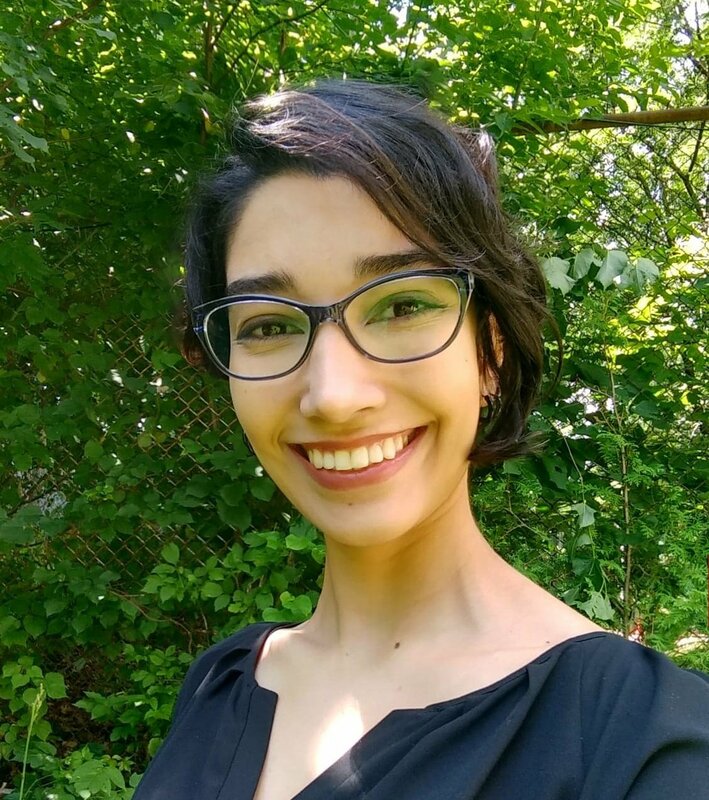 She has hands-on experience in VR, AR, video game development, and UX-focused web design. Nowadays, she partners with tech companies to create content that helps people understand new technologies better. In her spare time, she hangs with Netflix and pokes her Amazon Alexa.